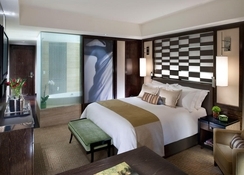 A stay at Mandarin Oriental, Las Vegas places you in the heart of Las Vegas, minutes from Crystals at City Center and close to University of Nevada-Las Vegas. This 5-star resort is within close proximity of The Linq and High Roller. 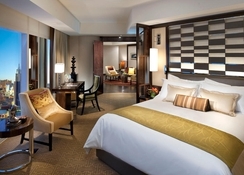 Make yourself at home in one of the 392 air-conditioned rooms featuring iPod docking stations and minibars. Your bed comes with down comforters and Egyptian cotton sheets. 42-inch LCD televisions with cable programming provide entertainment, while wireless Internet access (surcharge) keeps you connected. Private bathrooms with separate bathtubs and showers feature designer toiletries and hair dryers. Pamper yourself with a visit to the spa, which offers massages, body treatments, and facials. You can take advantage of recreational amenities such as a sauna, a steam room, and a fitness center. Additional amenities include wireless Internet access (surcharge), a hair salon, and wedding services. Enjoy a meal at one of the resort's dining establishments, which include 2 restaurants and a coffee shop/cafe. From your room, you can also access 24-hour room service. Relax with your favorite drink at a bar/lounge or a poolside bar. Featured amenities include a business center, limo/town car service, and dry cleaning/laundry services. Event facilities at this resort consist of conference space and meeting rooms. 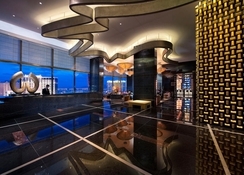 The hotel is a sophisticated sanctuary of modern elegance prominently situated at the entrance of CityCenter, the magnificent urban resort destination in the heart of the Las Vegas Strip. 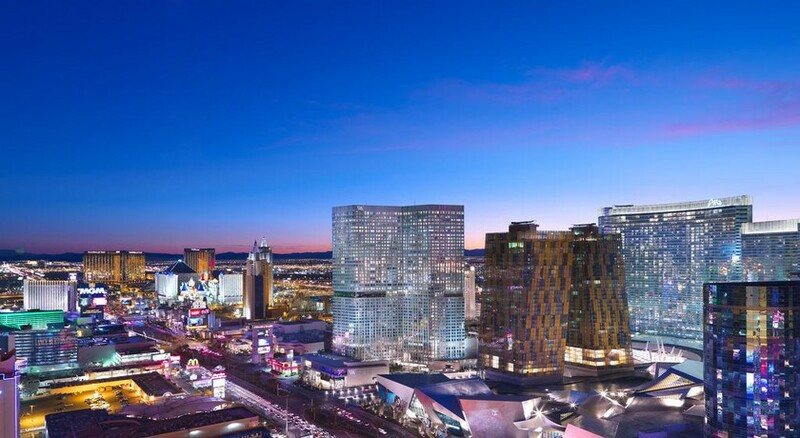 The 47-storey, non-gaming hotel brings fine-dining, a relaxing spa, bar, spectacular accommodation and the personalised service of the world-renowned hotel group to Las Vegas. The hotel is one of the only free-standing non-gaming luxury properties on the Las Vegas Strip. Fashionable rooms and suites come with city views, 42-inch flat-screens and iPod docks, as well as bathrooms with walk-in showers and TVs. 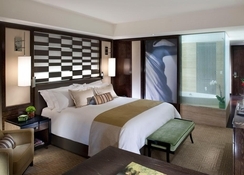 Upgraded rooms add views of the Strip, Nespresso machines and/or floor-to-ceiling windows. Amenities include 3 upscale restaurants, plus a plush lounge bar and a traditional Chinese tearoom. Other amenities include a luxe spa, 2 outdoor pools with hot tubs and cabanas, plus a fitness room and a business center. A 2.2-mile drive from McCarran International Airport, this opulent, Chinese-themed hotel on the Strip is also a mile from both Caesars Palace and Luxor Las Vegas landmark hotels.